With weddings increasing in diversity, guests have come to expect only a few things…dessert is one of them. The classic wedding treat, cake is still a go-to for a majority of couples—we’re lucky to have our pick of talented bakers here in Southeastern Wisconsin. Since many to-be-weds’ focus is on flavor and beauty, they often have a lot of questions. For answers, I reached out to Karen Smith of The Cake Lady & Petite Pastries in St. Francis, one of the area’s most sought-after bakeries. She’s honed her pastry skills with Sanford D’ Amato in Milwaukee, plus at famed spots in Chicago and New York City. 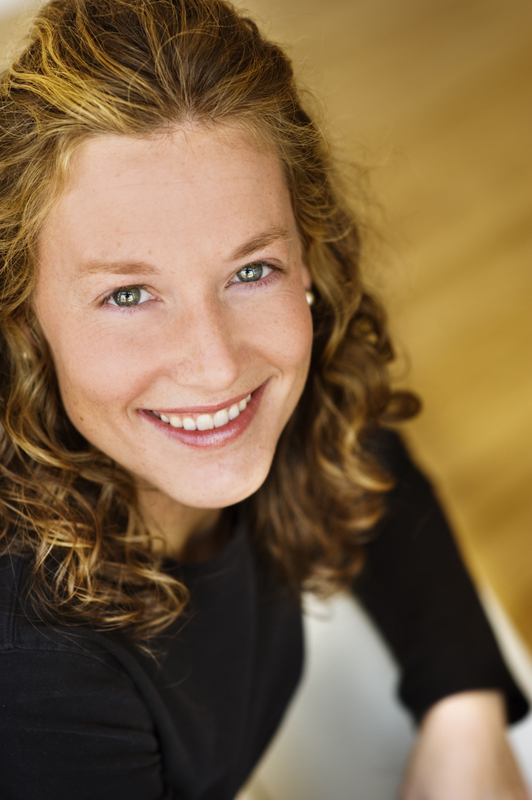 Smith is excited to share her expertise with all of us, so let’s dig in! How did you get into the cake-baking business, and how have things changed since? KS: I began my career making pastries at a French café downtown, Coquette Café, and always had a desire to learn about cakes. The original Cake Lady hired me, and the rest is history. I think people have become more interested and intrigued in the cake business over the past 5 to 10 years, since Ace of Cakes, Amazing Wedding Cakes and Cake Boss…almost everyone has seen one of those shows! Where do you get your baking inspiration? KS: From the biggest sweet tooth in the world! My dad loved to cook, my mom loved to bake. My grandmother was an amazing baker…her thumbprint cookies are to die for. I have always loved to eat sweets, and I figured, what better way to satisfy that craving than to make delicious sweets every day? What are your clients’ most-requested wedding cake styles these days? KS: “Something simple”!! I think people have become extremely cost conscious these days. We hear that request quite frequently; still, we have the opportunity to do really grand things, as well. 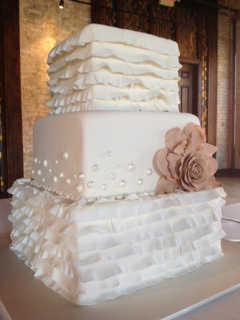 I think brides most often like to incorporate a detail (or details) from their wedding onto the cake. For instance, a bow, sash, belt, neckline, flowers or lace from a bride’s dress can make a cake extra special and memorable, and a focal point at the reception. You have a zillion cake and filling combinations! What are some of your personal favorites? KS: Wow…there are too many to choose from, you’re right! I love our vanilla cake layered with vanilla bean pastry cream and chocolate ganache fillings. During the summer months when berries are in season, I love a layer of fresh berries in there, too. The most popular cake combination we do here is our vanilla cake (or lavender cake in the summer) layered with raspberry preserve, vanilla buttercream and homemade lemon curd. Those who prefer chocolate generally fill the chocolate cake layers with raspberry preserve and chocolate ganache. Our red velvet cake and cream cheese–white chocolate buttercream fillings go best together. Spice cake and pumpkin buttercream in the fall is too perfect! As winter sets in, what new cake trends are appearing on the scene? 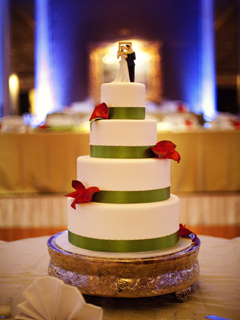 KS: We see two colors most frequently on our winter wedding cakes: white and turquoise. We also do a lot of “sparkle” with glitter, silver, luster dust and snowflakes. I’m sure you’ve seen some creative toppers! Tell us about a few of your favorites. KS: I love the bobblehead doll cake toppers. Couples send in their pictures when they order, and the bobblehead faces look exactly like the couple. It’s so funny! I also like handmade things: carved wooden images, handmade birds, a Lego design. I had a couple do a bride and groom, flower bouquet and their little dog all made from Legos…so cute!!! I see that you bake cupcakes and cookies, too. How can couples incorporate these into their wedding menu if they also want a classic cake? KS: So many couples do a midnight or late-night snack, and many of our clients serve cupcakes at this time. It also becomes handy if the bride likes vanilla cake, but the groom likes red velvet. The bride can do a wedding cake in vanilla, and the groom can do red velvet cupcakes for later on! Cookies are almost always bagged individually and sent home with guests as favors…although some like to set out platters of cookies when coffee is served. What’s the baking process for a traditional cake? KS: I think it’s important for people to realize it’s not an overnight thing, first of all. Every single shop will have a different method and a different schedule, but at The Cake Lady, we bake, allow the cakes to chill, assemble (cut and fill), do a crumb coat, final coat, fondant, stack, decorate and deliver. We never freeze our cakes, which I think is important. We also bake every single thing to order and from scratch, which ensures the best taste! Smooth white icing certainly is classic, but lately I’ve been seeing texture popping up on Milwaukee-area wedding cakes. What are the options here? KS: It depends on if you’re doing textured fondant or textured buttercream. Textured buttercream gives you a few different options, like the swirly design of boiled icing. You can also drag the buttercream a little and give it the appearance of stucco. Fondant can be molded, so you can quilt, press lines or other designs in it, or use specialized rolling pins to give different textured appearances as well. What are your favorite ways to embellish cakes once they’re baked, filled and frosted? KS: I like to add a small element from the bride and groom, and hide it slightly on the cake. I’ve added a tiny horseshoe once before. I also did a small ladybug, and I’ve added a couple tiny initials. Details like this make the cakes so much more memorable and personal for me, and for the couple! How are couples (with your help!) 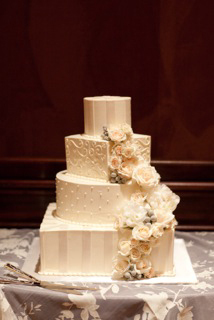 tweaking the traditional wedding cake to make it unforgettable for guests? KS: Two ways: amazing them with the delicious flavor and astounding them with the beautiful design. These days, cake is rarely the traditional piped buttercream mound with pink buttercream roses everywhere. Please talk us through a cake tasting. KS: We hear all the time that the tasting is a favorite among our clients! Here at The Cake Lady, we do all our tastings by appointment. That way, I can give you my full attention, answer questions, and serve freshly baked cake! We bake five different cake flavors: vanilla, lavender, spice, chocolate and red velvet. We also prepare our top six selling buttercreams and fillings: vanilla bean pastry cream, raspberry preserve filling, lemon curd, cream cheese–white chocolate buttercream, chocolate ganache and vanilla buttercream. At the tasting, we chat wedding details, cake design, cake flavor, etc., and by the end of the appointment, we have a cake design sketch and a flavor picked out. I prepare a quote after the appointment so clients know pricing, and that’s how the magic begins! Have you been experimenting with any new cake or filling flavors lately? KS: Yes, we’re working on a couple recipes today, one for a chocolate-pecan brownie. We’re also working on a butterscotch filling recipe. I can’t wait to sample both! Though groom’s cakes are a Southern tradition, I’ve seen some here, too. What original styles have you made for Southeastern Wisconsin clients? 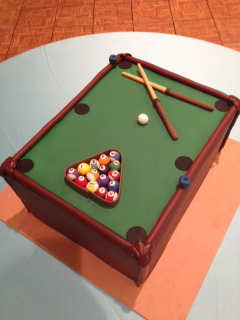 KS: This past year brought some really cool groom’s cakes. We did a periodic table of the elements groom’s cake. We did an Ohio State football field with an edible handmade bride and groom on top, and for another wedding, a pool table, which might be my favorite. The Packers football helmet is always popular. What are the top questions couples should ask prospective bakers before they decide? KS: Who will be baking my cake? Decorating it? Delivering it? When is the cake baked? Is it ever frozen? Any cake myths or misconceptions you’d like to dispel? 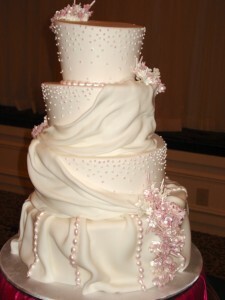 A huge misconception among my clients is a “fake cake” (or Styrofoam cake) must be cheaper than a “real cake,” right? I don’t totally understand this idea. Styrofoam is expensive, the fondant you use to coat the Styrofoam is pricey, you have to do the exact same decorations, you have to deliver the cake, you still have to bake and assemble and deliver sheet cake. So it’s not a cost saver. 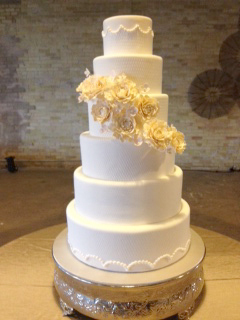 If you’re looking to save money, do a smaller tiered cake to display and cut and have sheet cakes to serve. Also, do not add fondant to the exterior of your cake, and reduce the decoration. Many couples save the top layer of their cake to “enjoy” on their first anniversary. How do you suggest they package their cake so it doesn’t taste like freezer? Once frozen, place plastic wrap directly on cake. Wrap well. Place in box (provided by The Cake Lady!) and wrap box well with plastic wrap and a layer of foil. Freeze. The most important thing in the whole process is to not defrost and re-freeze! Two days before consuming, pull cake from freezer. Remove all foil and plastic wrap (from box and cake). Place unwrapped cake back in box, place in fridge and allow to thaw. Twelve hours before eating, remove from fridge, allow to sit at room temperature. (All Cake Lady cakes are best enjoyed at room temperature.) Enjoy! I have had numerous clients tell me they very much enjoyed their cake on their first anniversary. I think if you follow the steps above, the cake should taste pretty darn good. So, that’s the lowdown on finding the perfect cake in Milwaukee. Did I miss a question? Want to know more? Ask below! All cakes shown here were baked and designed by The Cake Lady & Petite Pastries. A family member linked me to this site. Thnx for the information.